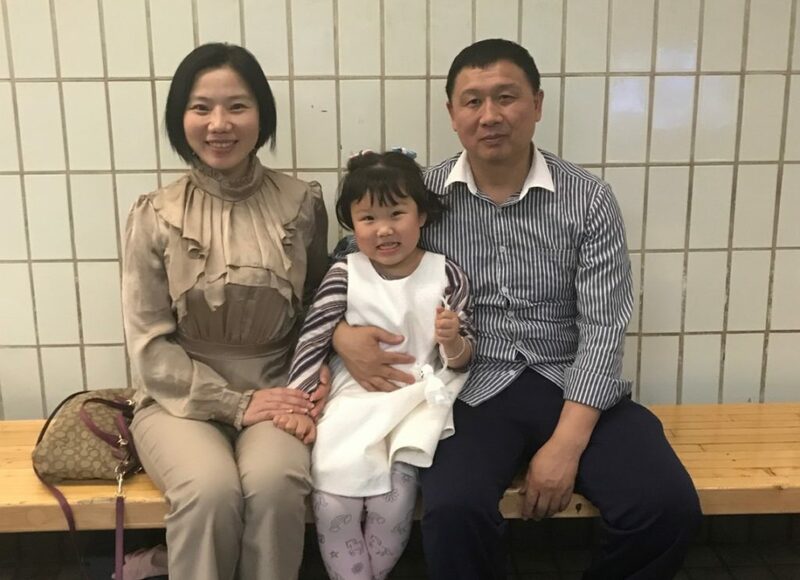 When Min Ren and her husband moved to Boston from China two years ago, their three-year-old daughter, Rosie, didn’t know any English. Rosie became shy and easily overwhelmed. Min understandably felt overwhelmed, too. They were living in Cambridge, close to Min’s work as a visiting scholar at Harvard University. When they moved to Dorchester, Min enrolled Rosie in Head Start, an early childhood education program for low-income families, where a staff member noticed the family’s difficulty. “She said, we have this program if you don’t feel so good, if you’re stuck in something,” Min recalls. She joined Parenting Journey, a twelve-week reflective and experiential program for parents. For Head Start’s clientele, living in poverty exacerbates the challenges of parenting. “A lot of the children and our families have all faced a wide-variety of trauma: community violence, interpersonal violence. We also have many families who are new immigrants to our community, so they are facing a variety of issues that come with uprooting your life somewhere and creating it somewhere else,” Kate says. They come to Parenting Journey for a safe space to consider how they were parented, how they parent, and what goals they have for their families. Min faced particular challenges as an immigrant parenting in the United States, but says that the program’s most profound message was “I’m not so unique.” “Everyone has problems,” she says. Listening to the stories of other parents in her group made her feel less alone. “The group is like a friend,” Min says. Kate considers the group component central to the success of the Parenting Journey program, noting a group of parents who have graduated from Head Start, but still meet together regularly “to just talk about their experiences as parents, share secrets, and socialize.” She calls it a transformation. “A lot of our families are socially isolated for a wide variety of reasons. They may be new to this country, or work so they don’t have the time to go out and connect with other parents, and I think that one of the best benefits that we see from Parenting Journey is that parents are spending time with other parents,” Kate says. Min seconds her statement. The group becomes a support network, a place where struggling parents can connect and “gain strength,” Min says. 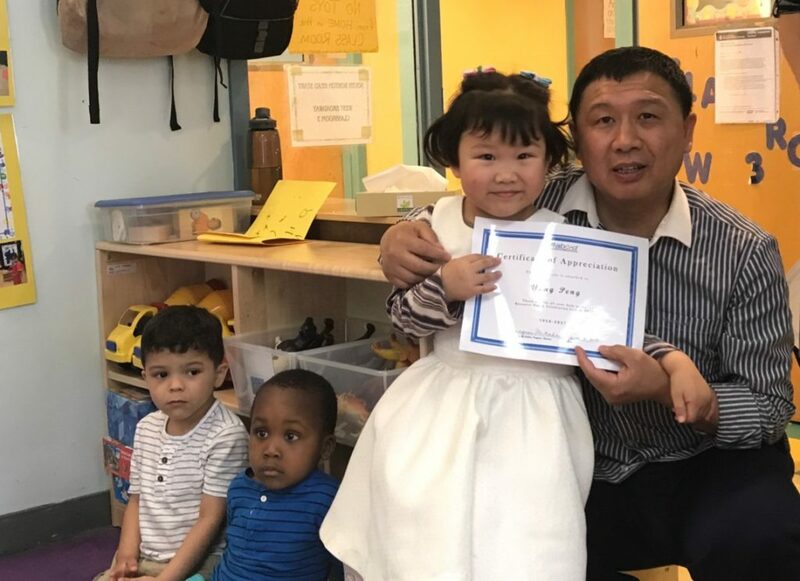 Min’s husband and daughter pose with a certificate from ABCD Head Start. To learn more about how Head Start uses the Parenting Journey I curriculum, watch the video below.